I love the idea of waiting, listening and slowing down in order to create and discover (and catch a living creature! a mouse!). And the string for the trap reminds me of an umbilical cord? or even a long string between two cups: communication, birth, artistry. Thank you for making this. capturing something without killing it – so few can actually manage this, but you sir, you and your camera, succeed every time. In fact, you, you with your camera, breath life into most things already caught and killed. Bravo! 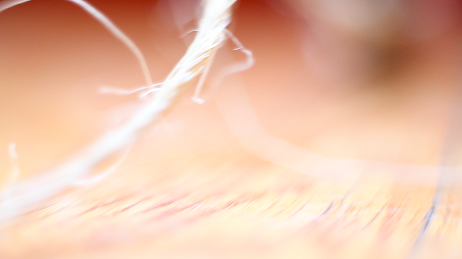 I love the tight focus, the tension and vibration, the colors. Also how the narration lags behind the story told in the video until the very end.